REMINDER:Walmart Savings Catcher Money Doubling on Bluebird ENDS Today! 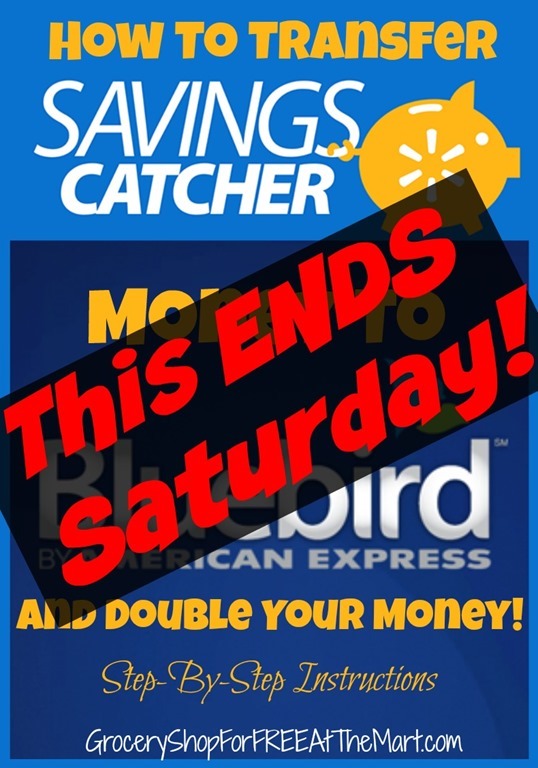 Just a quick reminder for those of you with money in your Walmart Savings Catcher account, the ability to double your money by moving it on to a Bluebird card will end Saturday, February 28th. 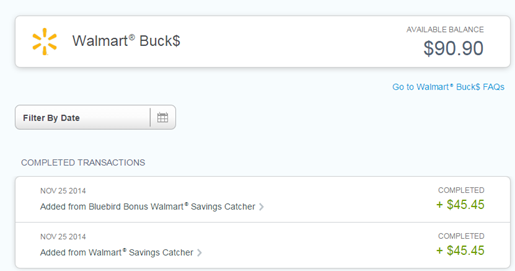 As it takes a few days for a receipt to be processed, today is probably the last day you can shop at Walmart and enter a new receipt into Savings Catcher and expect to get money back before the 28th. So if you have money in your Savings Catcher account, go ahead and transfer it over today so you don’t forget. If you get more in before the 28th, you can transfer that over as well with no penalty. The Grocery Shop for FREE Podcast–Episode 13: All About Savings Catcher! 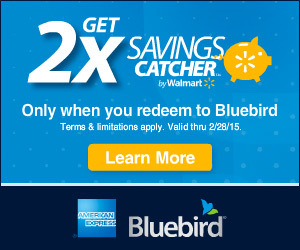 Double Your Walmart Savings Catcher Money With the Get 2X Program From BlueBird! UPDATE: This program has stopped. 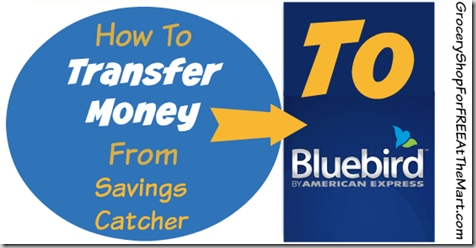 You can transfer your Savings Catcher money over to BlueBird but it will not double. I apologize if you got here through a Social Media post, they have a life of their own now and I can’t stop them from being reposted everywhere. If you want to save money though, check out my list of FREEbies available at Walmart, or the $1.00 and Under list, or the list of apps you can use to save money at Walmart. Sorry about the confusion! 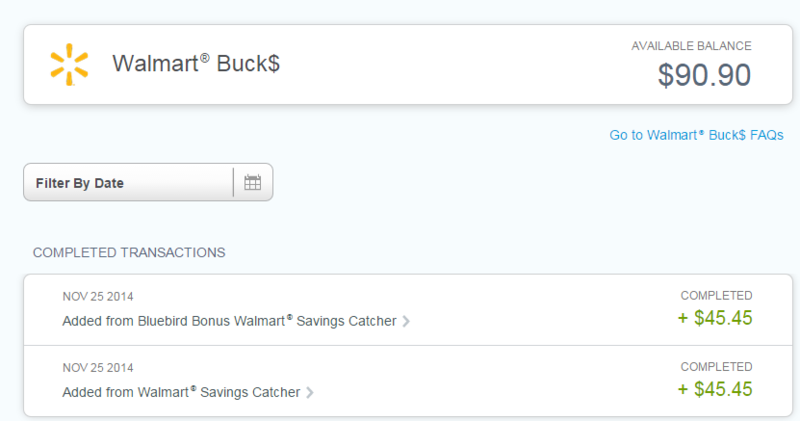 At this point, I think we all know that Walmart Savings Catcher is awesome. (Don’t know what it is? Read all kinds of stuff about it here.) I’ve got about $28 sitting in my account and was all set to just be happy with that but now I am so excited about DOUBLING my money! Here’s how the “Get 2X” Program works. – Log in to Walmart Savings Catcher and enter the Walmart receipt barcode number and if there’s a lower price advertised, Walmart will refund the difference in the form of Reward Dollars. – To double the Reward Dollar amount, select “Redeem to Bluebird” in the Savings Dashboard. – Existing Bluebird customers who choose to redeem to Bluebird will automatically receive double the Reward Dollars into their account to spend exclusively in Walmart stores or at Walmart.com. Customers who do not already have a Bluebird account will be prompted to register for a FREE Bluebird Card in a few easy steps. 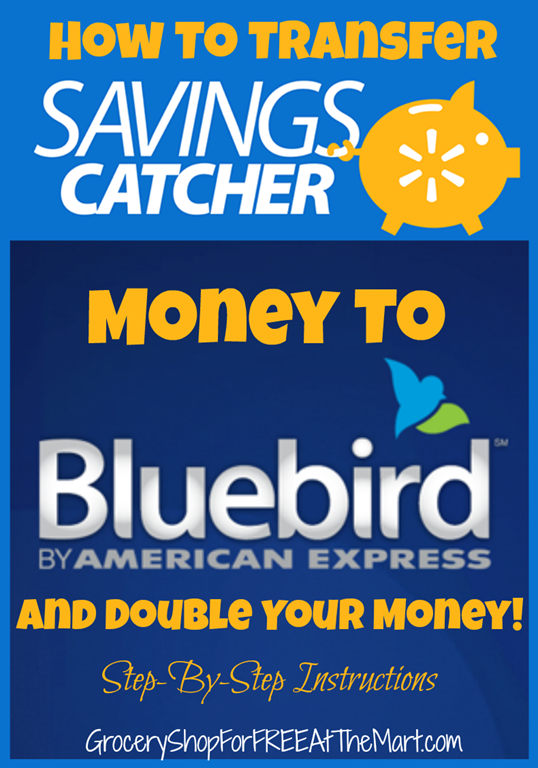 – Savings Catcher customers can use their Bluebird Cards to spend Reward Dollars exclusively at Walmart or Walmart.com. Reward Dollars will be applied automatically at checkout. Any remaining purchase amount after applying will be deducted from their Available Balance. For more information, please visit Bluebird.com/SavingsCatcher. 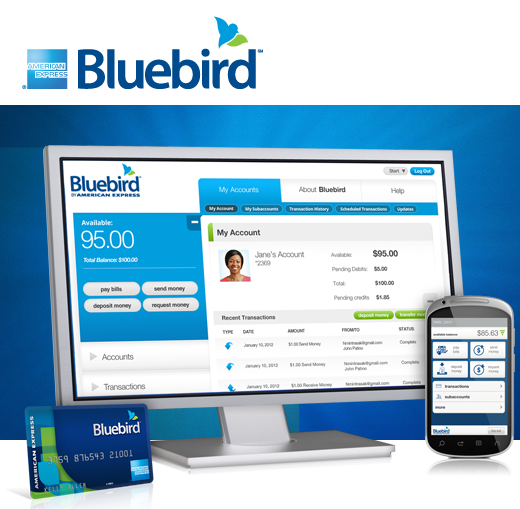 BlueBird is a prepaid credit card that is easy to use. That’s no money to start, no monthly fees, no overdraft fees, and no minimum balance. 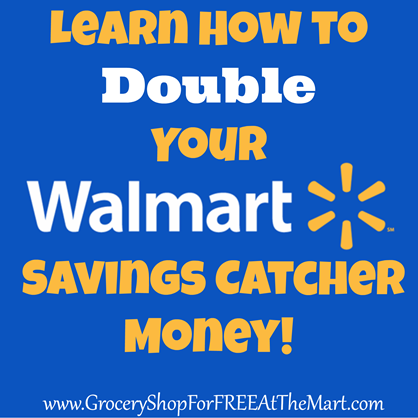 If you’ve been using Savings Catcher, you should definitely get a BlueBird card next time you are at Walmart and double your money! Ready to try it out? Click here to get started! Advertiser Disclosure: The card offers that appear on this site are from companies from which Grocery Shop for FREE at The Mart receives compensation. This compensation may impact how and where products appear on this site (including, for example, the order in which they appear). Grocery Shop for FREE at The Mart does not include all card companies or all card offers available in the marketplace. Bluebird The New Checking Debit Alternative! Walmart & American Express are bringing you a new no/low fee checking & debit alternative. 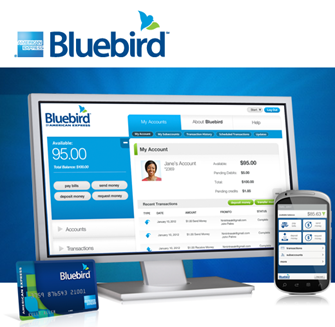 You can pay bills with the Bluebird app or online. You can make all of your bill payments, from car payments to phone payments with no/low fees, postage stamps, or trips to the post office! Direct Deposit customers can use any MoneyPass ATM with no fees! There are also no credit review and you get 24/7 customer service! Click here for more info or to sign up online.